Everyone wants peace. We desire harmony because that is how we were designed to live before the fall. God created us to live in peace with one another, but the world we live in today is dark and restless because of sin. This earth will never know true peace until Jesus returns and makes all things new. 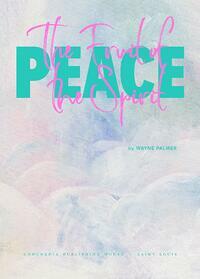 In the meantime, we must rely on the peace that He offers now. Worldly peace is a delusion—it will not last. In God’s Word, we find true peace that can only come from Him. Armed with this knowledge, we can bravely live out our faith in an un-peaceful world. Download this free 30-day devotional plan to guide your personal Bible study time over the next month. You’ll find comfort, hope, and—yes—peace.